Author ToddPosted on October 22, 2017 October 22, 2017 Categories ContestLeave a comment on Contest #3: Like the Page – Win a Book! 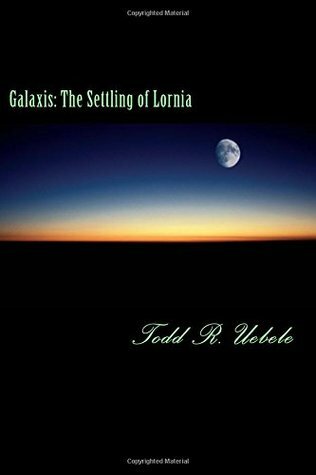 Author ToddPosted on October 16, 2017 November 10, 2017 Categories ContestLeave a comment on Contest #2: Congratulations to the Winner! Contest #2: Send a Tweet – Win a Book! I’m going to be honest, the first contest did not draw the attention that I had hoped it would. That is ok, though. Some ideas will work, some may not. That does not mean I give up, it means I move to the next idea. Which leads me to the point of this post. The next contest! Follow the instructions to send the tweet and you are automatically entered! It’s that simple! If this contest succeeds, I’ll run another one with more prizes, which means bigger chances of winning! Good luck and than you for your support of Galaxis! Author ToddPosted on October 8, 2017 October 8, 2017 Categories ContestLeave a comment on Contest #2: Send a Tweet – Win a Book!